Democratic Republic of Congo President Joseph Kabila has carried out a wide-ranging cabinet reshuffle, excluding former rebels, changing 20 posts and dropping a deputy minister at the centre of a mining review. The reshuffle, announced on state radio late last Friday, also trims the cabinet to 43 posts from 54, a move officials said would reduce state spending and simplify preparations for elections expected in 2011. Among the highest profile changes Matata Ponyo, formerly head of a financial research bureau and from Kabila’s ruling PPRD party, replaced Athanase Matenda as finance minister, and opposition member Jean-Baptiste Ntawa Kuderwa was named budget minister. PPRD member Gilbert Tshiongo Tshinbinkubula took on the energy portfolio, while interior and security minister Celestin Mbuyu moved to the hydrocarbons ministry, the announcement said. Many deputy ministers’ posts disappeared, including that of powerful deputy mining minister Victor Kasongo, who played a key role in a lengthy mining review that has yet to resolve contracts with two copper companies, First Quantum Minerals Ltd and Freeport-McMoRan in the southern province of Katanga. As street vendors sold copies of the new government list in the busy city centre, rumours circulated that two ministers had been appointed from the former CNDP rebels Rwandan-backed Congolese Tutsis who expected roles as part of a peace agreement that ended fighting in eastern Congo. The prime minister’s office said there were no posts for the former rebels whose units have been integrated into the national army a fact likely to anger CNDP officials. Key posts allotted to the main opposition party PALU, including that of Prime Minister Adolphe Muzito and mining minister Martin Kabwelelu, remained in PALU hands evidence that their pact with the ruling party remains intact. 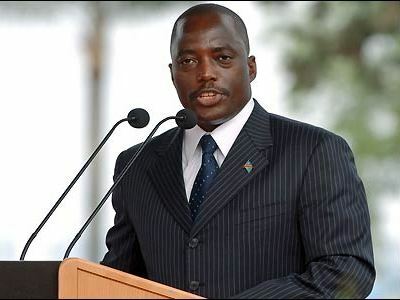 Most other opposition parties represented in the cabinet already fall under an umbrella group, Alliance for the Presidential Majority (AMP), which supports Kabila’s government. Nzanga Mobutu, son of dictator Mobutu Sese Seko under whose 32-year rule corruption strangled the nation, moved to vice prime minister for work, from vice prime minister for basic social needs. The country is still recovering from the global slowdown which halted copper mining and hit the foreign exchange reserves, and from a 1998-2003 war and decades of corruption. There is still fighting in parts of the east and north.